As Campaigner-In-Chief, Barack Obama, fights for his political life, his strategy is simple. He gets off the Darth Vader Bus of Despair with a clear message for the American people: “Folks, let’s all hitch ourselves to the Blame Bush Bandwagon ‘cause it’s all his fault.” Little does he know that he is maligning the single most accomplished president in the history of America! Dubya was the one guy who stood tough against both the stars that govern us and metaphysical forces that we cannot yet hope to understand — and triumphed. No other president — not Lincoln, Roosevelt, Kennedy or even the great Ronnie Reagan — can stand in the hall of greatness where Dubya resides. He is solitary in his achievement, a true American hero, who lifted his country out of a morass of hopelessness. At this point, the tale gets really interesting and the evidence gets really sketchy. In fact, the only hard proof we have that any of the rest of this ever happened comes from a 1930s Ripley’s Believe it or Not cartoon. However, in my day, most people who never made it out of History 12 (and some who did) believed it. The story goes that because of Harrison’s actions at Tippecanoe, Tecumseh or his brother Tenskwatawa (who, given the evidence, had the hilarious nickname, “The Prophet”) placed a curse on the American Presidency. 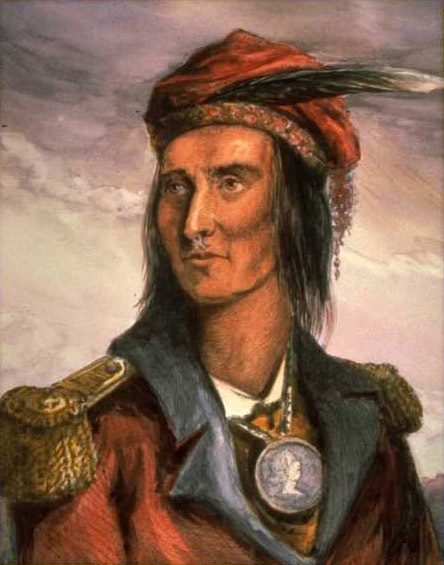 Either Tecumseh, as he lay dying, or Tenskwatawa many years later, essentially said that Harrison would be elected President, but he would die in office. Not only that, but one of them (???) went on to say that every twenty years, forever after, no president, elected in a year ending in zero, would make it out of the White House alive. Apparently, the Shawnee know how to hold a grudge. Meanwhile, back at the facts, for the next 140 years Tecumseh’s Curse kept ticking away like a top-end Rolex. Harrison, was indeed, elected President in 1840, at his second kick at the can. He caught a cold giving the most boring inaugural speech in American history and died a month later. In 1860, Abraham Lincoln was elected president and although he survived his first term, was re-elected in 1864 and assassinated by John Wilkes Booth less than a year later. Next, James Garfield, elected in 1880, was shot by Charles Guiteau in July of 1881 and died that September. However, to be fair, this may have had more to do with the presidential medical staff than a Native American curse. Apparently, Garfield’s wound was not life threatening, but his doctors were and that’s what finished him off. In 1896, William McKinley beat William Jennings Bryant to become the 25th president of the United States, and rather than quit while he was ahead, he ran for re-election in 1900. He beat Bryant again, but the next year, while touring the World’s Fair in Buffalo, was shot by anarchist Leon Czolgosz and died within days. In 1920, Warren Harding was elected to the Oval office. He lasted long enough (3 years) to preside over one of the most corrupt administration ever and be considered one of the worst presidents. He died in San Francisco in 1923. The jury’s still out on the cause of death; opinions range from stroke to food poisoning to suicide. There’s even one theory that he was murdered by Mrs. Harding (who oddly enough burned all his papers when she got back to Washington.) Franklin Delano Roosevelt had to work very hard, indeed, to fulfill Tecumseh’s Curse. He was elected president in 1932, 1936, the magical 1940 and 1944. He finally died of exhaustion and a cerebral haemorrhage in April, 1945. John Kennedy was elected in 1960 and died in Dallas in 1963. I’m not going to go into the wherefores and the whys of JFK’s death because if you ask any four people their thoughts about it you’ll get six different conspiracy theories. Of course, many people do not believe in NativeAmerican curses. Unable to accept the metaphysical power which surrounds us every day and only primitive people possess, they pooh-pooh the idea. Many prominent astrologers maintain that the regularity of presidential death has nothing to do with Tecumseh, his brother or anyone else. It is, in reality, controlled by the stars and the evidence is available to anyone who wants to open their eyes. 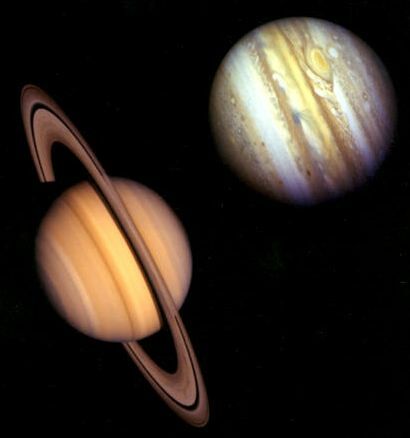 There is an astrological cycle which occurs every 19.8 years when Jupiter, the faster orbiting planet, crosses paths with Saturn, the slower planet. Since Jupiter rules politicians and Saturn rules death, something catastrophic is bound to happen. Luckily, however, the stars are only concerned with American politicians or we’d have others world leaders popping off with the same annoying regularity. Fortunately, in the 21st century, George W. Bush came along and put a stop to both 19th century Native American cursery and ancient Americo-centric astrology. He was elected in 2000 and served two full terms in office. (There was a moment there when the pretzels nearly got him, but in the end, he prevailed.) When his presidency was over, he packed his bags, waved good-bye, and went back to Texas, hale and hearty. Barack Obama, the Democrats, Jon Stewart and the girls from The View can continue to blame him for everything from the National Debt to obesity in preschoolers, if they want to. However, even they have to admit that when George W. Bush stepped away from the White House, he’d lifted the curse that had plagued America for a century and a half — and even realigned the stars. Not bad for a straight C student from Yale! But, wait a minute, you might ask. What about Ronnie Reagan? Reagan was a great president who won the Cold War and gave us “trickle-down” economics. However, as any supporter of either the Tecumseh Curse or the Jupiter/Saturn theory will tell you, Reagan was elected in 1980, and he died from Alzheimer’s, which was already very apparent during his last days at the White House, when Nancy and Frank Sinatra were running the country. 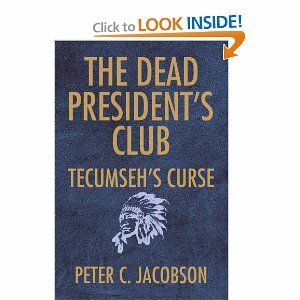 This entry was posted on August 22, 2011 by wdfyfe in History and tagged American Presidents, conspiracy theories, History, Tecumseh's Curse, United States.